Hello everybody and welcome to the next installment of our Through the Pages series! As usual it took us some time to get this together, thanks everyone for your understanding and for always looking forward to these installments and poking at us every once in a while as a reminder. Once again as a show of appreciation, we’ll be posting two chapters up today: Chapter 17 right now, and Chapter 18 very soon after. 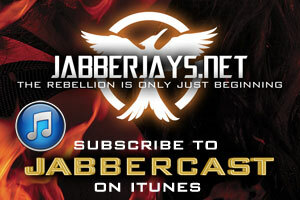 In anticipation for The Hunger Games: Mockingjay Part 2, we will break down the second half of Mockingjay with our predictions on what will make it to the big screen and what will be left behind on the cutting room floor. Don’t forget to comment with your own predictions and speculation so that we can come back and examine who got what right or wrong! Spoiler warning! 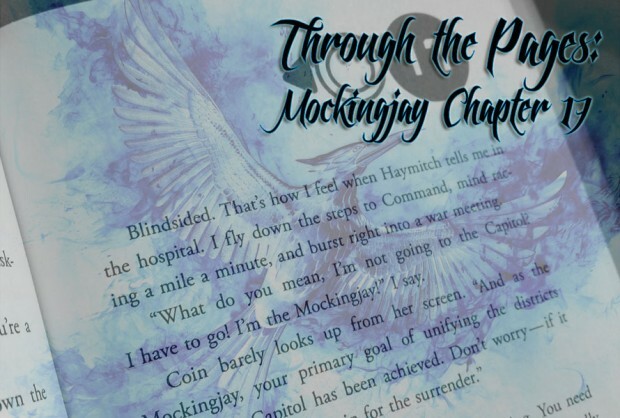 Through the Pages involves a lot of book discussion, so if you haven’t yet read Mockingjay then proceed with caution, particularly now that we’re entering the true climax of the story. Or, better yet, go read the book and then come back and join in! Katniss complains to Coin and Boggs about not being able to go to the Capitol, but they insist they can’t let her go without training, so along with Johanna, she starts going to her training sessions. She has trouble getting through the routines because of her broken ribs, but the doctors at Thirteen give her an accelerated medicine in order to heal them. Katniss and Johanna bond, and eventually are discharged from the hospital to room together, because the doctors won’t let Johanna have a room by herself. One afternoon after training, they are eating in the dining hall along with Annie, Finnick, Gale and Delly, when a heavily-guarded Peeta joins them. Soon an argument starts, in which Peeta declares he doesn’t owe Finnick anything for saving his life because he only did it for Katniss and the rebellion, and also brings up those nights on the train with Katniss that the Capitol didn’t alter but now feel like they didn’t matter. Gale takes Katniss back to her compartment, although he points out that Peeta’s hate seems familiar, like he used to feel, except in Peeta’s case the feeling was forced on him. Johanna tells Katniss about her and Peeta’s capture in the Capitol, how they were witnesses to each other’s torture. I think most of Chapter 17 will be left on the cutting room floor, not because it is insignificant but simply for time. The audience will be fully expecting Katniss to be part of the final assault on the Capitol so I think they’ll by-pass any talk about her not going but rather using Plutarch or Haymitch as a tool to explain her purpose in propoganda and using as many Victors as possible in Capitol fighting propos. Then Katniss can vouch for Johanna, the two can move in to the compartment across from the Everdeens and then montage time: hospital recuperation, ribs healing, morphling abuse, running, shooting, Johanna having difficulty in the rain so on and so forth and they can also show that Gale is more than prepared for combat. I really like the scene in the dining hall and I hope it makes it but something in my gut tells me it won’t. However they do need to show a slightly more rehabilitated Peeta yet someone who is still not quite the character we know before he is sent in to Squad 451 later. And it would also be useful for Gale to see Peeta in order to let Katniss know that it’s not her fault. Obviously the most communal space in District 13 is the dining hall and we’ve already been introduced to it in Part 1. So by all means it could be included but instinct tells me it might be slightly different than it is in the novel. It might be better for a cinema audience if the atmosphere between Peeta and Katniss is a little more threatening or uneasy than hostile stubbornness. Mostly, in this chapter, I love the burgeoning relationship between Katniss and Johanna. A mutual respect blossoms in to friendship as they both try to help each other in training and Katniss eases in to trusting and caring for her. Johanna is also a expositional link as to what Peeta went through in the Capitol so their whispered conversations as roommates are important. Since this chapter has a lot of Johanna and back story on Johanna and Peeta’s time in the Capitol, I hope that a good amount of it makes it to the film. I know that the idea of training for being part of the Capitol’s assault might not make it to the film but I’m just hoping that we get to spend some time with Johanna and Katniss interacting. I think the little dinner party will make it to the film, even if Delly is not a character in the films. It’s a great scene to showcase Peeta’s mental state and his internal struggle to understand what has been done to his mind. 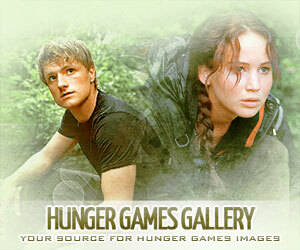 I doubt that we’ll see Katniss and Johanna struggle through training but I do hope they end up being roommates. Their exchanges are filled with sorrow but a lot of the dry humor that I love in the books. It would also be an opportunity to display Johanna’s fear of water. Though water torture might not be PG-13 so it probably won’t make it to the film. I should mention that Katniss’ reaction to being left behind at the beginning of this chapter always struck me as a very 4-year-old-stomping-her-foot reaction. So if we had a section for lines I hope DON’T make it, that “I’m the Mockingjay!” line would make the list for me– or at least in the way I pictured in my mind as I read. I like the scene; it reminded me that Katniss, despite being a strong woman, a fighter, a survivor, is still just a teenage girl, with all the inexperience and brattiness that can entail. It’s a great scene to read, but I don’t know that it’d fit in the pacing of the movie. I think that whole conversation with Coin would need a lot of retooling (and a whole lot of Jennifer Lawrence’s exceptional dramatic chops) if they want to include it in the movie. As it stands, I don’t think it’s necessary. Instead, I think they should cut straight to training, a short clip of it at least. I don’t think they’ll delve too deep on Katniss’ ribs, but it’s through training that Katniss and Johanna bond, initially, and I think that has to be included. We saw so little of Jena Malone in Part 1, I’m definitely hoping she gets more of a focus this time around, even if it’s only in one or two scenes, and this chapter was pretty much Johanna at her best as far as Mockingjay is concerned. The scene at the dining hall has to be included (maybe with a little tinkering, because we know Delly won’t be there) for two main reasons: 1) it’s the first real look we get at Annie, and 2) it’s the first time Peeta vocalizes what the hijacking did to his feelings for Katniss without outright losing control. Yes, it’ll hurt like a b*tch to hear, but it’s a step forward. (Have I mentioned that this movie will crush my poor shipper heart? Because it will. I’m going to have to sit there repeating “the ending will make this better, the ending will make this better” to myself until the epilogue comes). It’s also an important moment for the love triangle– okay, I can hear you groaning at the mere mention of it, but it really is! It shows how Katniss sees herself very negatively vs how Gale and Peeta see her (which is something that is very hard to get across without Katniss’ internal monologue), and how, despite their fundamental differences, Gale can empathize with Peeta at least as their feelings for Katniss go. I think it rounds both characters just a little bit more, and it’s the next stepping stone toward their conversation later on in Tigris’ shop. Since that is one of my favorite scenes in the book, I really hope this one doesn’t get left out.